The confusion between the perennial or biennial nature of hollyhocks (Alcea rosea) revolves around two issues. First, common hollyhocks reseed easily, giving the biennial plant a perennial appearance. Second, common hollyhocks have a miniature doppelganger in hollyhock mallow (Malva alcea), a smaller perennial with hollyhock-shaped flowers. 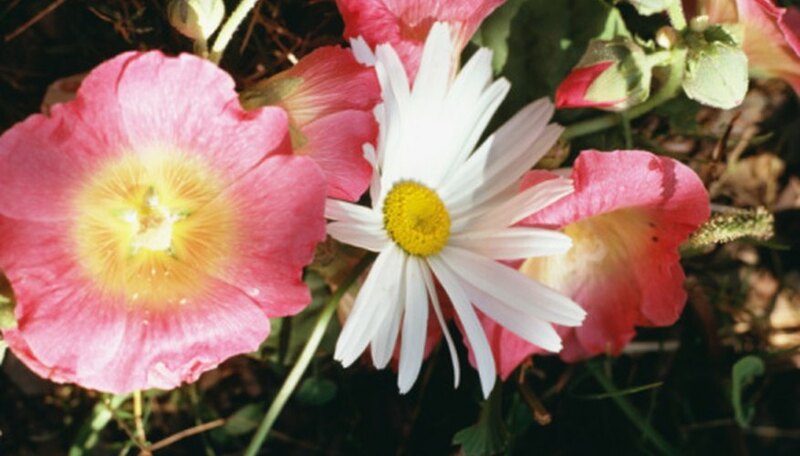 Both plants are useful in the garden, and may grow side-by-side. The common hollyhock (A. rosea) is a biennial and only flowers the second year. First-year plants produce mounds of foliage and perhaps a flower or two, often confusing novice gardeners who wonder where their flowers are. After the leaves die to the ground in winter, the hollyhock bounces back in spring with mounds of new, broadly scalloped leaves and tall spikes of 4- to 5-inch flowers which may tower up to 8 feet above the garden border. One Arizona gardener reported a hollyhock spike over 14 feet tall. Hollyhock mallow (Malva alcea) is a tough, adaptable perennial not related to its namesake. It has wide flowers and leaves similar to a common hollyhock (A. rosea), but remains roughly 3 feet tall. 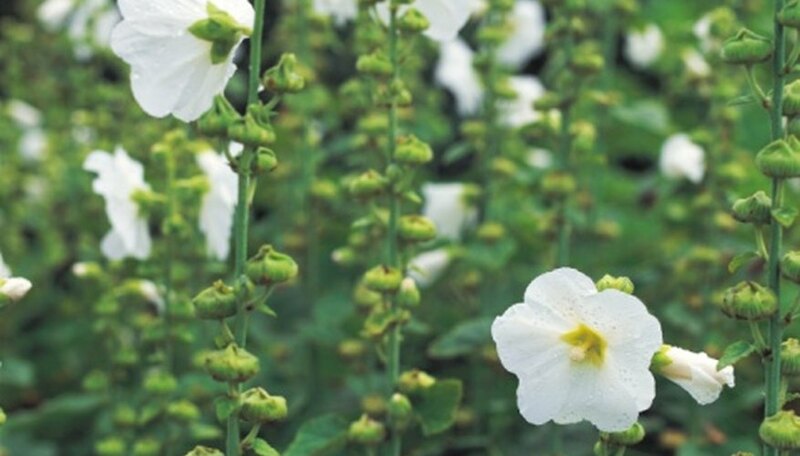 It also survives in hot, dry conditions that make common hollyhocks wilt, producing 3-inch pink flowers on spikes from July through August, instead of common hollyhock's June to September bloom period. Although some gardeners report common biennial hollyhocks (A. rosea) returning for a third year in their mild climates, this perennial appearance is likely due to the hollyhock's capable reseeding. If you allow your hollyhocks to go to seed, volunteers will spring up throughout your garden year after year. If you wish, hand-sow the seed from May through August. These summer-sown plants bloom the following year. Common biennial hollyhocks need basic care to ensure they reseed in healthy numbers, both during the first non-flowering year and after the second year's foliage dies back. Hollyhock rust, a contagious fungal infection caused by Puccinia malvacearum, affects most common hollyhocks. While it usually leaves the flower spikes unaffected, it destroys the wide leaves and weakens the plant. To preserve your hollyhocks and prevent the fungus from overwintering, remove all frost-killed stems and leaves from the flowerbed. What is Eating My Hollyhocks?